This week’s What Are You Reading Wednesday is brought to you by my fellow bloggers and bookstagrammers! The best thing about finding out what everyone else is reading is that I can add loads of books to my “to be read” pile that I wouldn’t have known existed! Remember, you can get involved with What Are You Reading Wednesday! Either message me on Instagram (@tsundokugirl) to be featured in a compilation post like this one, or check out the original post which includes the questions for you to answer if you’re doing your own! Remember to drop me a comment so me and my co-hosts Marissa and Kendall can come and comment! 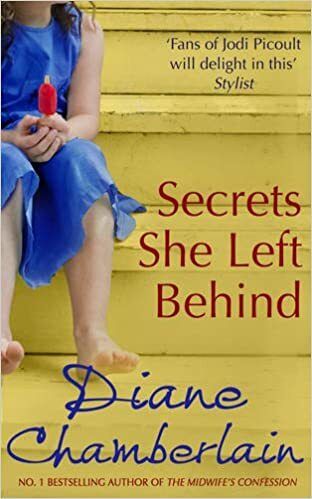 I’m currently reading Secrets She Left Behind by Diane Chamberlain, which is the second in a series recommended by a close friend. The content has definitely won me over in this one; I love her writing style, and the way I’m right on the edge of my seat throughout! Rebekah blogs about her disability, books and other lifestyle topics over at https://rebekahgillian.co.uk. You can follow her on Instagram at @rebekahgillian. I’m reading two books at the moment. The first is The Greedy Queen, which is about Queen Victoria, her eating habits, and food and eating in her time. It’s fascinating, and very different from anything I’ve ever read about her. The second book I’m reading is called The Kids Guide to Staying Awesome, to help my son with his sensory issues. Karen blogs over at themadhouseofcatsandbabies.com. You can find her on Instagram as @catskidschaos. 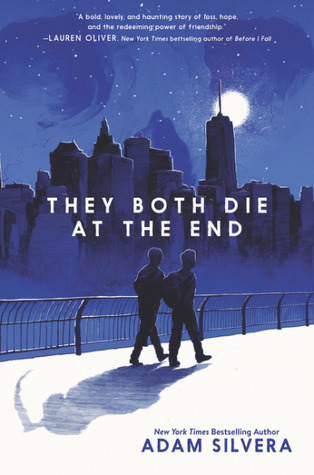 I’m currently reading They Both Die At The End by Adam Silvera. I picked it up because it seemed to get a lot of love and I’m always up for a good YA contemporary (plus, the cover is gorgeous!) So far, I am loving it! The characters are really cute. But I’m a tiny bit bummed out because I’m afraid that I already guessed the ending! Let’s hope I’m wrong! Dorine blogs about books, which she reads a wide variety of. You can check her out over on www.lostinmypaperworld.wordpress.com or www.instagram.com/lost.in.my.paperworld. 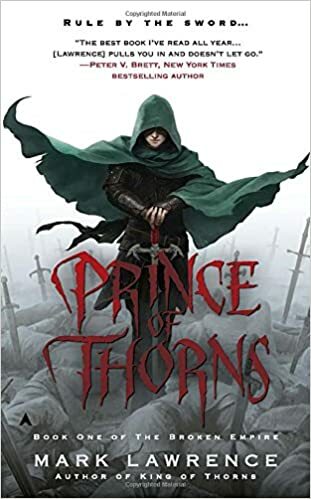 I’m reading Prince of Thorns by Mark Lawrence. I picked it up because I think my 14 year old daughter and my husband would have literally burst if I didn’t finally read this trilogy! They’ve been dying to talk to me about it! I’m not very far in yet, as I just started last night, but so far it has me curious as to why a 13 year old boy is such a murderous little badass! Brandy is a keen bookstagrammer who you can check out at www.instagram.com/brandy.reads! I’ve just discovered Helen Harper. 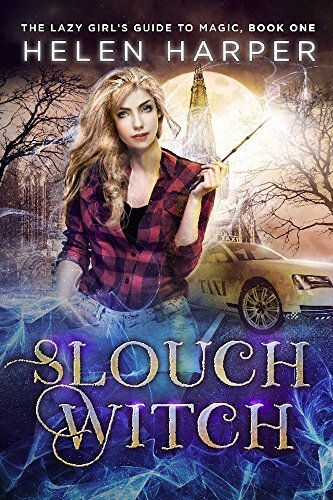 She writes really good alternate reality fiction – so Scotland, with fairies and elves and stuff, but in a human world. Easy reading, great stories. And she’s written loads of books, hurrah! You can find Sarah on social media as @themumzilla! 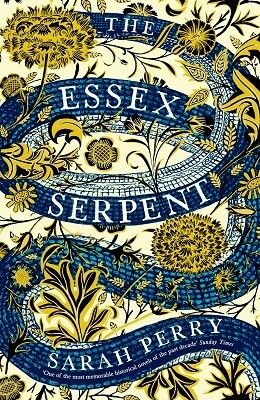 I am reading The Essex Serpent by Sarah Perry which I picked up because so many people were asking about it and to be honest the cover is gorgeous! Only got fifty pages left so hoping to finish it tonight! Found it a tough one to get through the first chunk but now I’m really enjoying it. The kids have been reading What the Ladybird Heard by Julia Donaldson and Lydia Monks as we are going to the stage show on Friday! I really liked that too! I’ve got History is All You Left Me but I haven’t read it yet, and I might preorder the book he’s doing with Becky Albertalli if I like Simon Vs the Homosapiens Agenda! Have you read that one? I feel like I’ve asked! I liked History Is All You Left Me, but something was missing for me. Yes, Simon is one of my favorite books!! I’m so curious about the books. I especially want to read “They both die at the end”. I heard so much about it and I feel like I don’t have to read the ending first like I usually do since…I already know how this one turns out. It’s all about the journey and that’s really intriguing. Yay! I’m so happy! I feel very honoured that you wrote in English for this!! I will definitely check it out! 😎 Yes, it’s so good! I wasn’t expecting to like it that much, but it really stuck with me! I hope you enjoy it! ♥️ Let me know what you think! I’m so glad you featured the book I’m reading in this post. It’s such a good book, and definitely deserves more reads, though you should probably start with ‘Before The Storm’ first if you want to completely understand it. I’ve not read any of the others in this post yet, but I’ve heard of ‘The Kids Guide To Staying Awesome’ because of my own affiliations with the autism community, so I’m considering checking it out. Thanks again for including me in your post. I’ll definitely check it out; I love finding diamonds in the rough and this sounds like it could be one! Yes, the Kid’s Guide did actually catch my eye for similar reasons! I definitely think so! I hope you enjoy it as much as I did. I am loving your spin on this right now girl! All the different books- so fun! I LOVE that you did a feature of other bloggers and bookstagrammers like this! The variety is great and there are a few of these I want to add to my own tbr. I have a huge list of books I want to read as well and I will now need to add your options as well 🙂 Great post! My list is never ending! 🙈 Thanks a lot, glad you enjoyed! Nice line up! Thanks for sharing some fun reads. I’m so glad you’re enjoying they both die in the end- I really want to read that. And hope you enjoy Prince of thorns. I really enjoyed it actually! I kind of picked it up thinking it’d just be a sort of fluffy easy to read contemporary, but it really hooked me in and stayed with me! I hope you enjoy it!